Is America part of a divine plan? Early America’s historical events could be seen as a set of dominoes falling conveniently into place, creating a thriving free and democratic nation, but Michael Medved believes there’s a divine hand that helped. 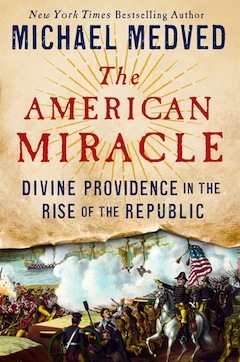 The Jewish nationally syndicated radio show host has just published his 13th book, The American Miracle: Divine Providence in the Rise of the Republic (Crown Forum, 2016), describing a dozen incidents from the 1580s to the American Civil War, in which a moment of crisis was successfully resolved, against great odds, and seemingly by chance. One of Medved’s examples is that of Abraham Lincoln surviving six assassination attempts, with the seventh and final one coming only after he freed the slaves. Another such occurrence, according to Medved, involves Confederate General Robert E. Lee’s battle plans, which were etched on a cigar wrapper cover, discarded unknowingly by one of his infantry and later found by a Unionist soldier, radically turning the tide of the war and saving the union. Additionally, writes Medved, Napoleon Bonaparte was to take command and possession of Louisiana to protect it against the British, but the harbour uncharacteristically froze over on that April day. It was part of a series of events that led the French conqueror to cede land four times the size of France to the Americans – later called the Louisiana Purchase – for the paltry sum of a penny an acre. 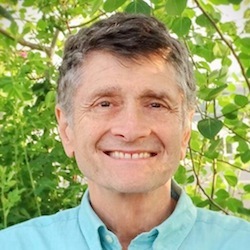 Medved’s other books have covered American themes as well, including The Ten Big Lies About America; The Shadow Presidents, a history of White House chiefs of staff; and Right Turns, an autobiography covering his path to becoming a conservative. Part of the reason why he penned this recent book was not only to show that America’s founding had, as he sees it, a little help from above and has changed the world for the better, but “because we have lost that sense America is miraculous and astonishing,” he said. “If you don’t look at America as providing grounds for gratitude, then you will look at America as providing grounds for guilt, and that is what our education system emphasizes now: we slaughtered native Americans, we exploited African slaves, we oppressed workers and we enslaved women. As to why America has been so particularly blessed, Medved posits a theory: the Founding Fathers were philosemites. “John Adams, Alexander Hamilton, George Washington, believed that one of the reasons for America’s distinctive blessings can be found in Genesis, Chapter 12, verse 3,” he said, explaining the section where God says He will bless those who bless Jews, and curse those who curse Jews. In fact, he added, Thomas Jefferson and Benjamin Franklin worked together to create what they hoped would be the great seal of the United States, featuring an image of Moses leading the people across the Red Sea. Previous Previous post: Only in Israel?